The Miss Mae Site: Said the Spider to the Fly, a GoodReads Giveaway! 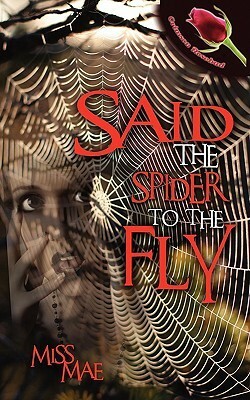 I've joined a GoodReads giveaway for my LASR Best Book of the Week winner, "Said the Spider to the Fly". If you live in the US and CA, you have a chance to win! Contest opens today, so come over and enter to receive a free copy of this award winning romantic mystery! Giveaway ends June 22, 2013.